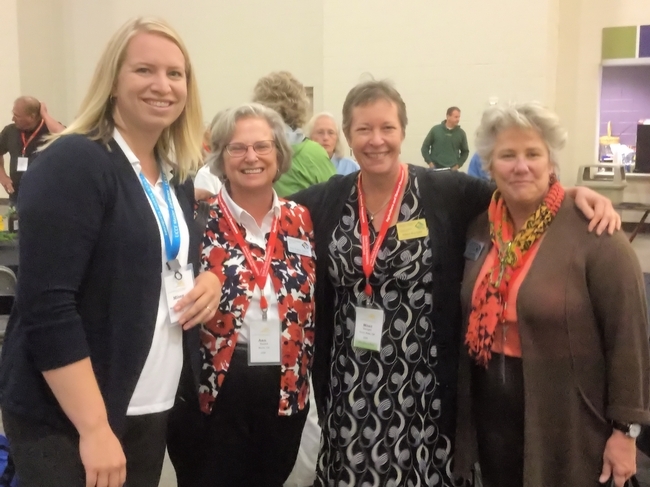 Mimi Enright, UCCE Sonoma Master Gardener Program Coordinator and Susan Foley, UCCE Sonoma Garden Sense Coordinator were honored to attend the International Master Gardener (IMG) Conference held at the Mid-America Center in Council Bluffs, Iowa on September 23, 2015. They were there to accept the first place award in the 'Community Service' category of the IMG's Search for Excellence for the Garden Sense program. 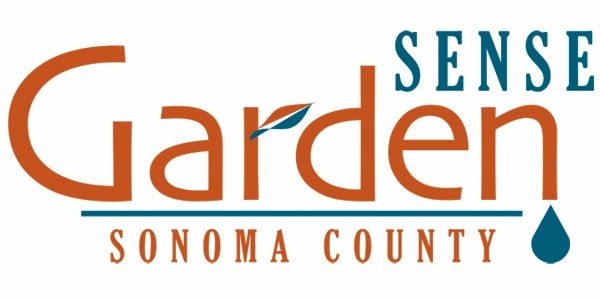 They were proud to represent the hard work & commitment of all of the Garden Sense consultants who make the water conservation program such a huge success. 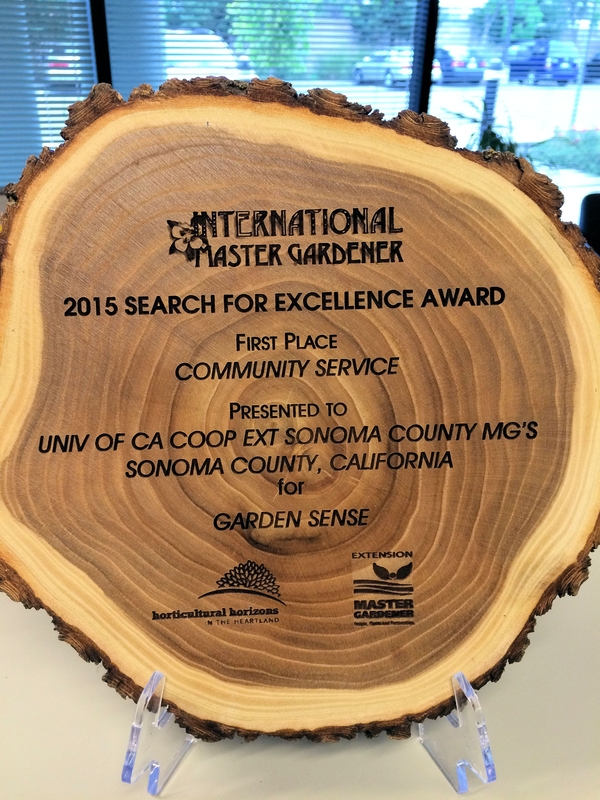 There were over 900 Master Gardeners in attendance at the conference from the United States, Canada and South Korea. Pictured are Missy Gable, California Statewide MG Office Director, Ann Trump Daniels, California Statewide MG Office Fundraising Coordinator, Mimi Enright & Susan Foley. Photo by Lauren Snowden. So happy your hard work and commitment has been awarded.